On Friday, we discussed what was needed for an impulsive decline, and I drew a black "4?" and "5?" on the chart where the market would be likely to turn IF it was going to form an impulse down. 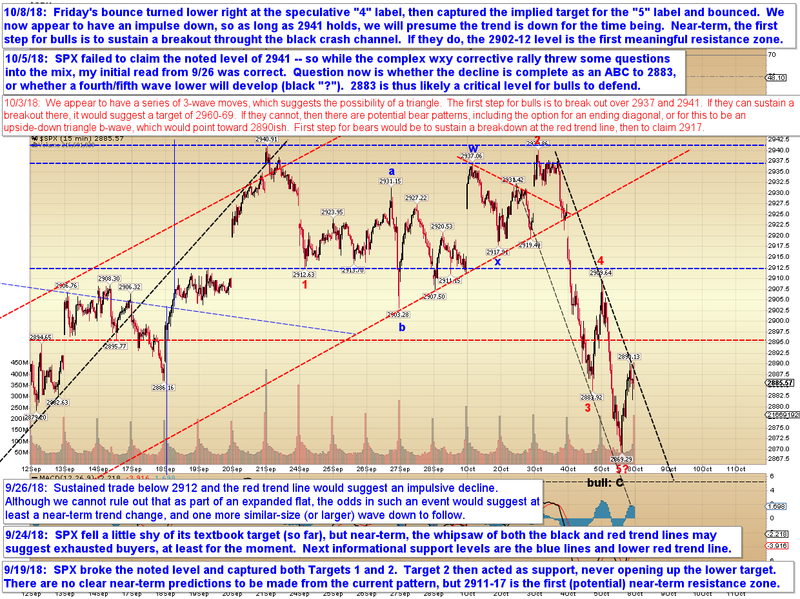 SPX opened higher, hit the black "4" label and reversed lower, then made a beeline for the black "5?" label -- and then bounced. This thus gives bears the most hopeful-looking pattern they've had in weeks. While it's always possible the decline is wave C of an expanded flat, that presently appears to be an underdog, so we'll treat this as a likely trend change, at least in relative terms. 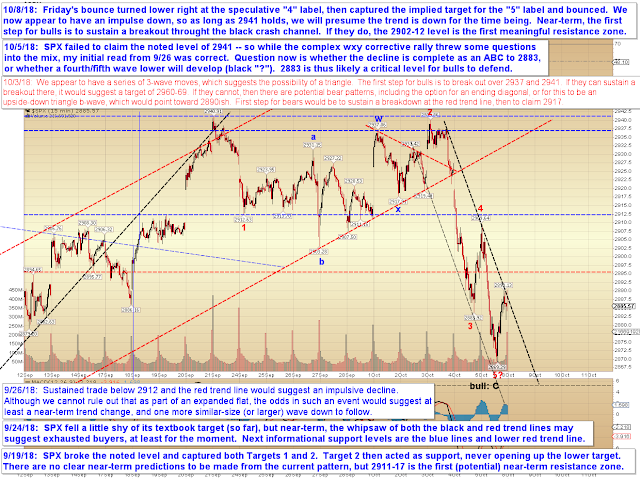 The big question is whether the larger B wave completed at 2941. If that's the case, we would expect the 2018 lows to be revisited before this decline completes. That's a little ahead of the game right now, though, so we'll take it one step at a time. In other words, for the moment, we will presume that the market probably needs at least one more similar-sized wave down before bulls get a decent shot at turning things -- and we'll remain aware that it's possible for this to turn into a much larger decline. Trade safe.